The Aquarium invites you to descend beneath the surface of the ocean into our new 4-D Immersion Theater. Combining the drama of 3-D with … all » special effects such as wind, mist, scents and dramatic lighting, Planet Earth: Shallow Seas™ 4-D Experience explores some of the world’s richest coral reefs and shallow coastal waters. Meet fantastic creatures like the unique pygmy seahorse and giant sun star, and be there as their stories unfold. Hunt along side bands of sea snakes as they use cunning strategy to lure unsuspecting prey. In this epic 15-minute 4-D adventure, hear the power of the ocean’s waves as they crash along the shoreline, and feel the salty spray as you surf the coast with Atlantic bottlenose dolphins in search of food. Glide alongside a cast of balletic sea lions as they dive through vast swirling bait balls of anchovy, and track a mother humpback whale and her calf as they navigate from their tropical nursery to the Artic Circle. Experience the greatest gathering of seabirds and whales ever captured in Digital HD. Internet Marketing Explained in 10 simple videos you can watch free! Check these out, but hurry won’t be posted long! The Truth FREE Internet Report (PDF Free Report) “Click to download- no registration required!) – My gift to my visitors! With the New Year upon us, people have been discussing what will be “hot” in 2008. One of the most common topics has been VIDEO. difference is HOW video will be used. working together in the same video. a TON of free video lessons. adding more throughout the month of January. Guys, Need something to do this year? LiveNation just released a fun online flash trivia game about music history. All the best for a wonderful holiday season and here’s to an exciting year ahead! 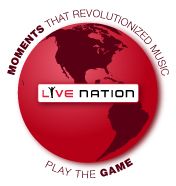 LiveNation invites you to join them on a global magical mystery tour of “Moments That Revolutionized Music.” Play the game, remember the moments and share with music fans everywhere.